The curtain is now drawing to a close on 2017 in what has been another exciting year for fight fans. We now look ahead at some of the fights that could come off in 2018 for our Scottish boxers some who are on the rise and some who may be heading towards the twilight of their careers. 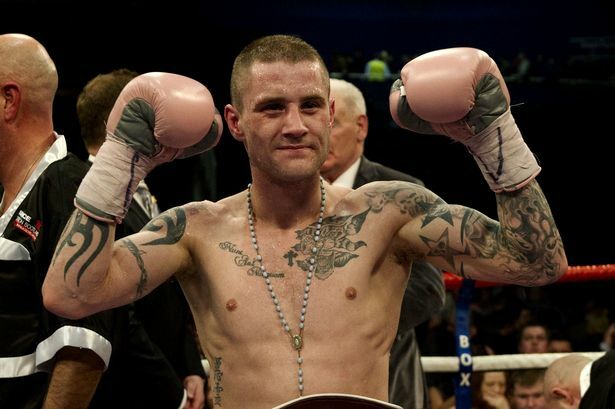 Ricky Burns – There is only one fight that Ricky would appear to be interested in at the moment and that is the rematch with Anthony Crolla. The rumours are that this fight is close to being made with Glasgow the likely venue for the return fight. Anything other than this may not excite Ricky that much as he is looking for revenge on his home turf. A lot of critics will be shouting for the all Scottish clash against Josh Taylor but Ricky has earned the right to choose who he wants to fight at this stage of his career. Josh Taylor – Whenever Ricky hangs up his gloves Josh will be the main attraction in Scotland (if he is not already there). There does not seem to be any doubt that Josh will go onto reign at World level and with the plans underway to have him out early next year it would seem that the most obvious fights are either the European Title currently held by Anthony Yigit or the British Title against Jack Catterall. Anything less than this would be a step backwards for Josh so it will be interesting to see which route he takes. Jason Easton – Jason is an exciting fighter to watch and finds himself in a barnstormer more often than not. His most recent outing was a much more technical performance defending his IBO Inter-Continental Super Lightweight Title against Josef Zahradnik. He displayed better footwork and was moving in and out with his attacks, which is what his coach Kenny McArtney has been looking for. He does still tend to get himself drawn into a good old fashioned tear up though. In terms of what could be next for the Edinburgh based fighter we should expect to see him out again in February next year and if Josh isn’t going for the British Title then this could be an option. More likely, however, would be another defence of his Inter-Continental Title against perhaps the likes of Tyrone Nurse. Stephen Simmons – Crowned IBF European Champion against Simon Barclay in October Stephen has not really been back in the gym since taking some much needed time to spend with his family and recharge his batteries. The British Title should be on his radar after Matty Askin pulling out through injury last time which they are looking to get rearranged for the early part of 2018. At 33 Stephen will be looking to have the big fights he craves as he may only have 4 or 5 fights left in him. Kieran Smith – Sitting at 10 & 0 and now in the top 10 in the UK and classed as one of Scotland’s top prospects, Kieran has moved along nicely so far. A busy 2016 with 7 fights was followed by only 2 contests this year his last one being a good points win over hardened veteran Bradley Pryce in June. He was scheduled to be fighting for the WBO European Belt against Joe Pigford in September but unfortunately sustained a cut in training so that bout had to be postponed and will surely be the obvious one to be resurrected into the new year. Tommy Philbin – Moving down to Super Middleweight Tommy was crowned Celtic Champion in October this year in a great fight against Rhys Pagan, he has also said he will now campaign at this weight going forward. Rhys actually went on to fight for the WBO European Title which ended in a wide points defeat by Lerrone Richards in his next fight so it would seem reasonable that Tommy should be looking to take another step up in 2018 and that could be a challenge we see him make. Tommy has now gone back to train with Terry McCormack at Lochend Boxing Club after a successful stint working with Billy Nelson to make his travelling easier. Ronnie Clark – Looking to get back in the mix after some time out of the ring Ronnie is invigorated and another who has moved to the Lochend Boxing Club and being trained by Terry McCormack. Ronnie who is still ranked at number 8 in the UK is not the type to want many warm up fights and has already expressed his desire to get another crack at the British Title or even the European as he has mentioned he would love to fight Martin J Ward again. With a lot of fighters preferring to try and avoid big hitting Ronnie as he is seen as a big risk, it will be interesting to see who steps up to the plate against him with the likes of Sam Bowen, Zelfa Barrat all trying to make moves up the ladder. A rematch against Anthony Cacace would also be another good fight. So another year of boxing to look forward to and whatever fights do get made in 2018 there will no doubt be the usual surprises, excitement, shocks and controversial decisions!